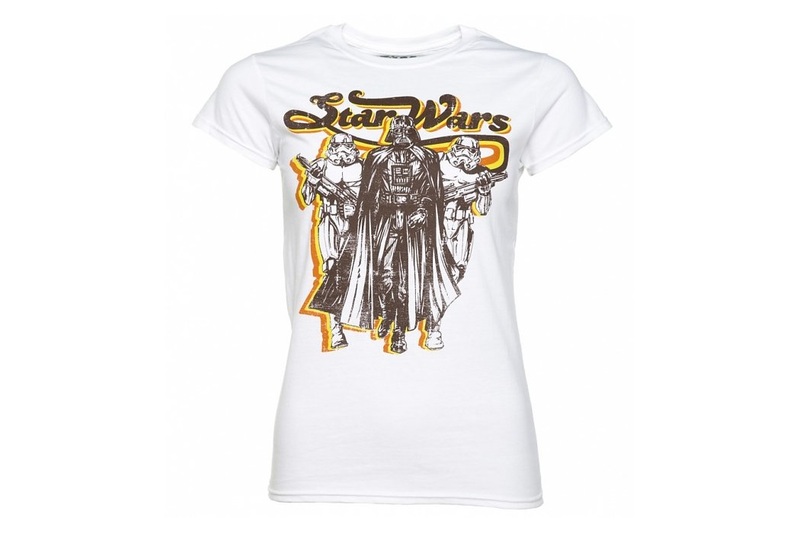 This new women’s retro style Star Wars t-shirt is now available at TruffleShuffle. Made from 100% cotton, the women’s white t-shirt features a retro style front print of Darth Vader and Stormtroopers, with ‘Star Wars’ written above. Looks like it was straight out of the ’70’s! 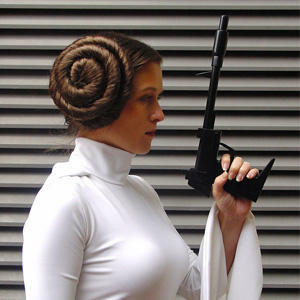 Stormtroopers….assemble! 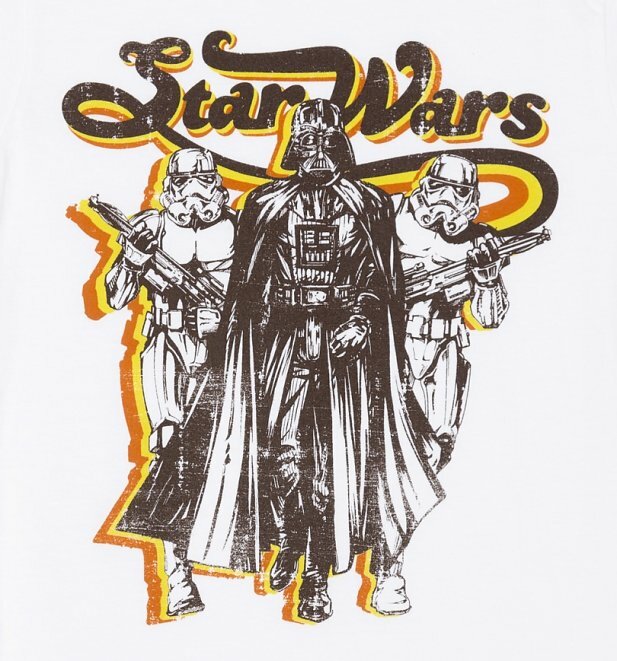 This super retro print shows Darth and his squad heading into action. 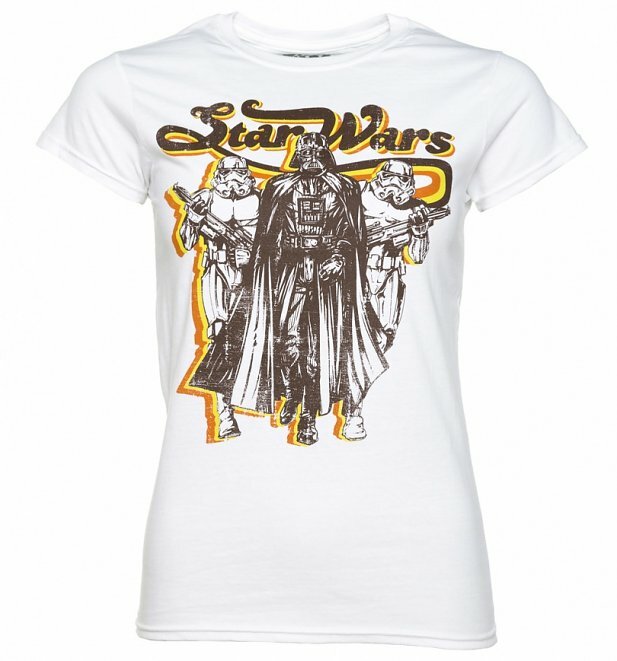 If you love Star Wars, then this tee is a must have! Available in sizes S to XXL, the t-shirt is priced at £15.99 each (approximately US$21.95 each) – TruffleShuffle can ship internationally.